Evan, Chad, and intern Walker are back in Studio 2 after an incredible live remote at Bar Louie last week. In this episode, the guys talk about March Madness, money, and more. In this episode of RBH, the guys are live at Bar Louie, Evan gets a new best friend, and regular caller Wayne proves that numbers don't lie. 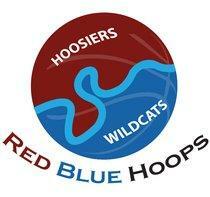 Catch Red Blue Hoops back in action next Thursday night at 6pm Central on 88.3 WNIN-FM and online at wnin.org. You can also connect with the show on Twitter by following @redbluehoops. More information and previous shows can be found on the Red Blue Hoops page.